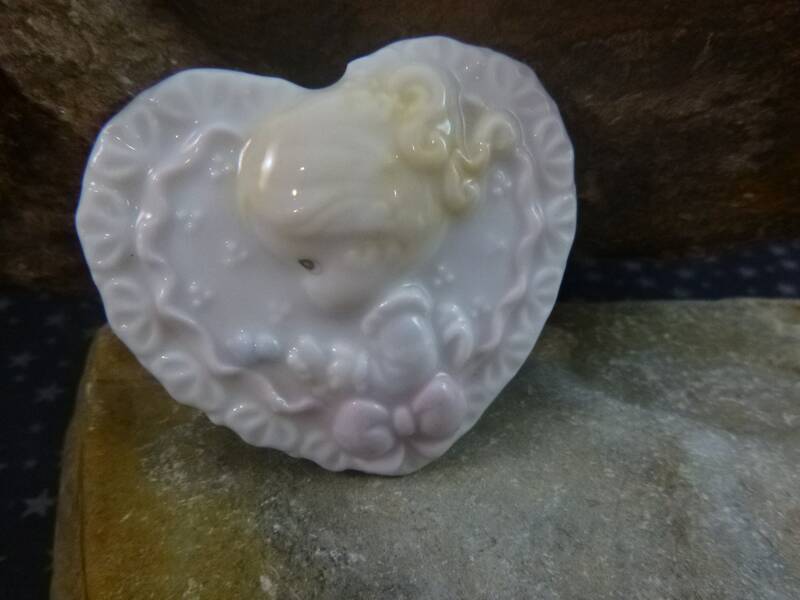 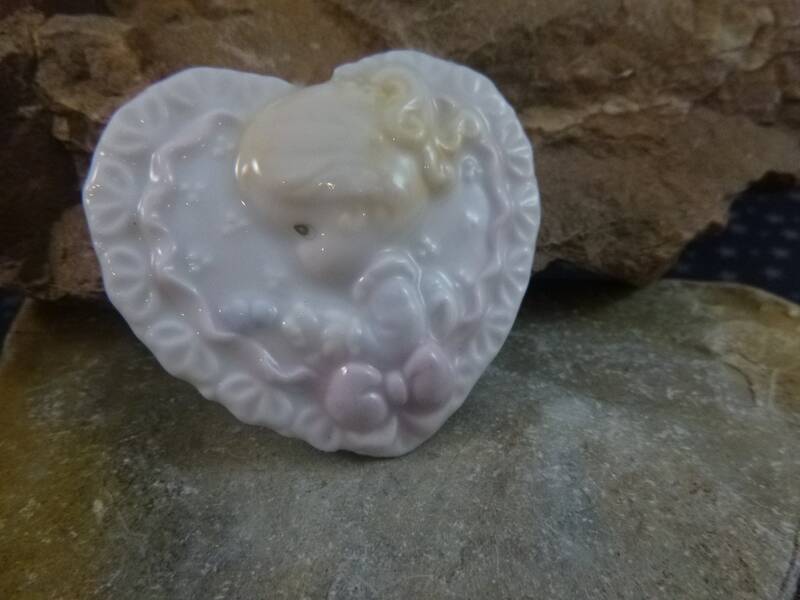 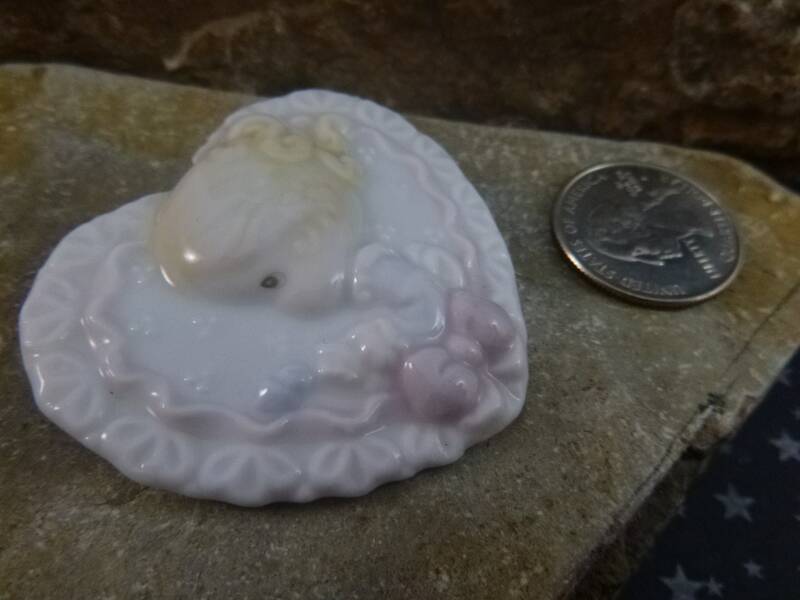 Made of crème porcelain with raised details, this side profile of a blonde toddler is set in a decorative heart and finished in soft pastel highlights. 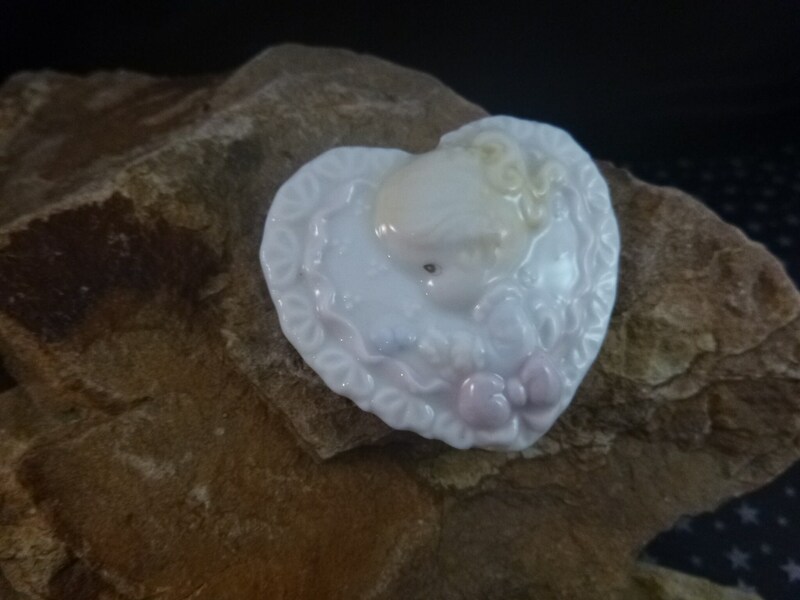 This would make a wonderful Mother’s Day or new mother celebration brooch. 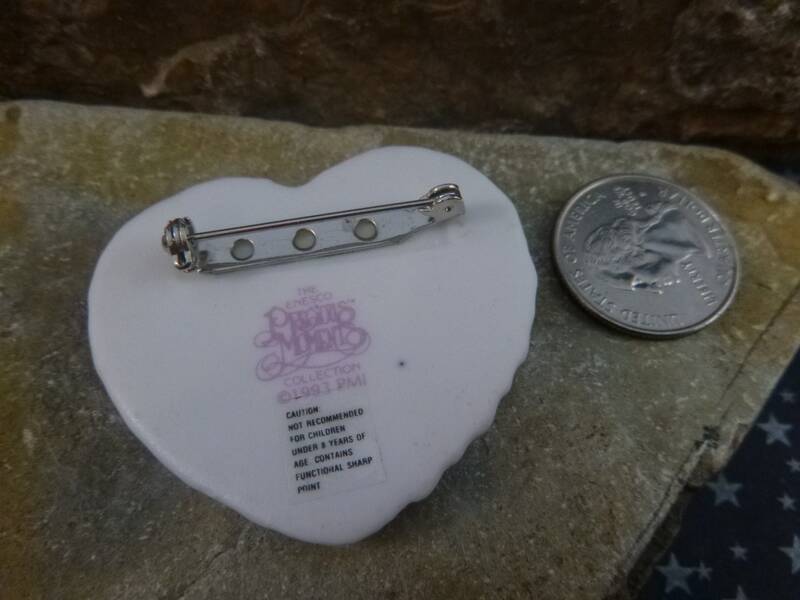 The pin is on the larger size measuring 2” wide and 1 7/8” high with a depth of .25” and is in very good vintage condition. 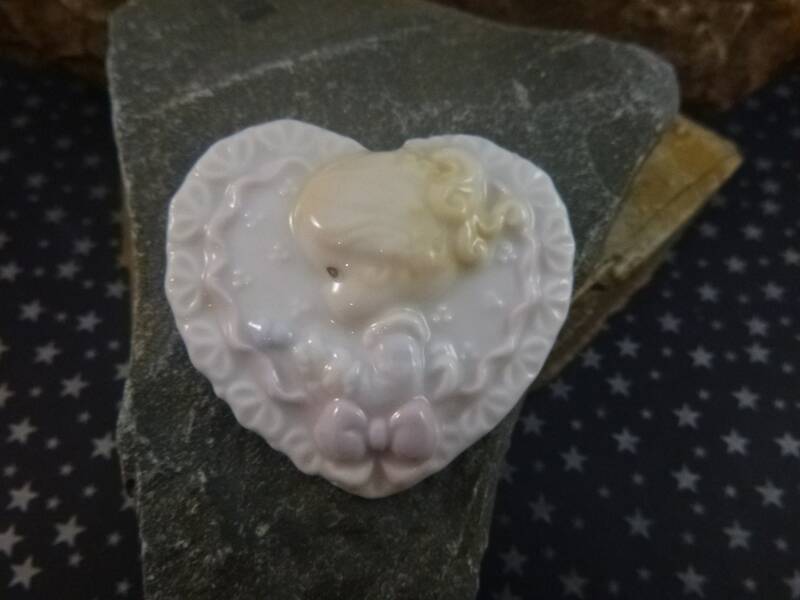 There are no chips or cracks, the pin and clasp work well, and the sweetness and sentimental factor is definitely a plus. 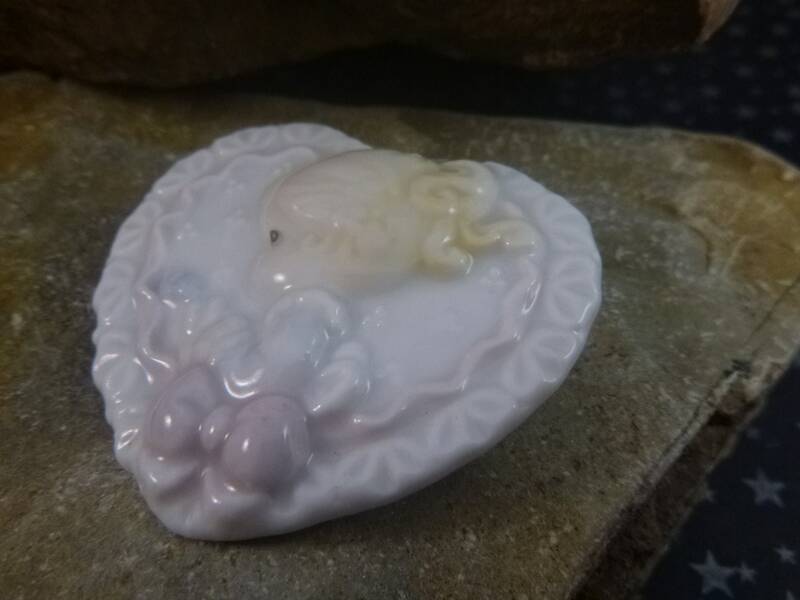 The pictures offer greater perspective on the vintage condition and mother-daughter theme of this delightful Precious Moments vintage brooch.